Photographers love visiting Disney's Animal Kingdom Theme Park. Besides the beautifully detailed park settings, there are a large variety of animals that can be captured, digitally of course, in natural settings. Whether you are a professional photographer or just starting out, there is an amazing array of opportunities to take beautiful pictures. The photo opportunities start soon after you make your way into the park. 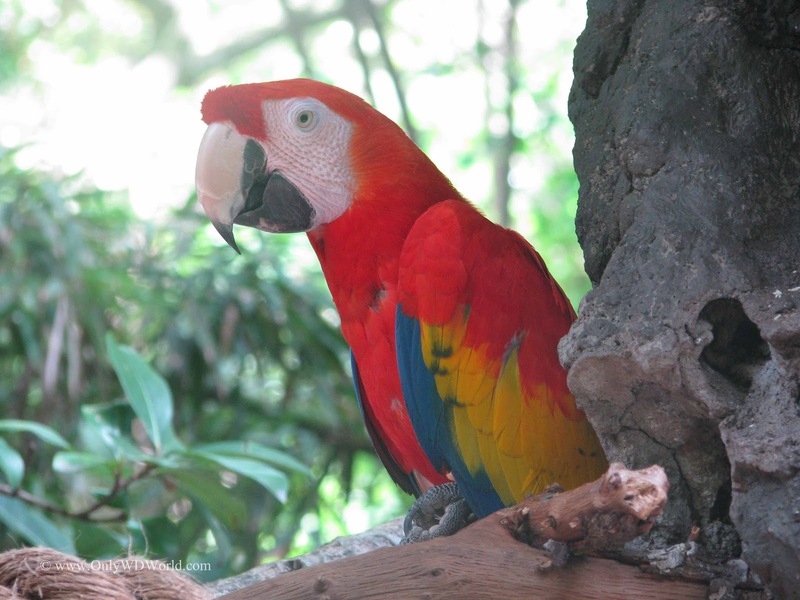 As you make your way to the Tree Of Life, you may come across a colorful creature like this Macaw. 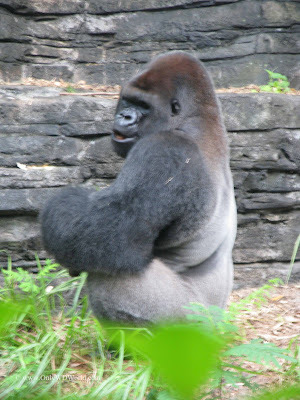 The Pangani Forest Exploration Trail includes many photo opportunities including the Lowland gorillas. The Kilimanjaro Safaris is a photographers dream. 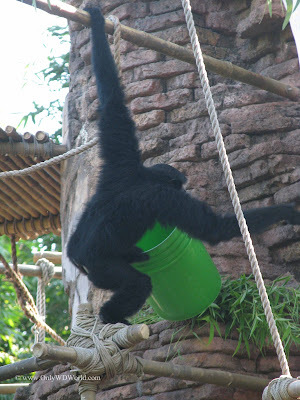 You have a chance to encounter a wide variety of African animals in natural settings. 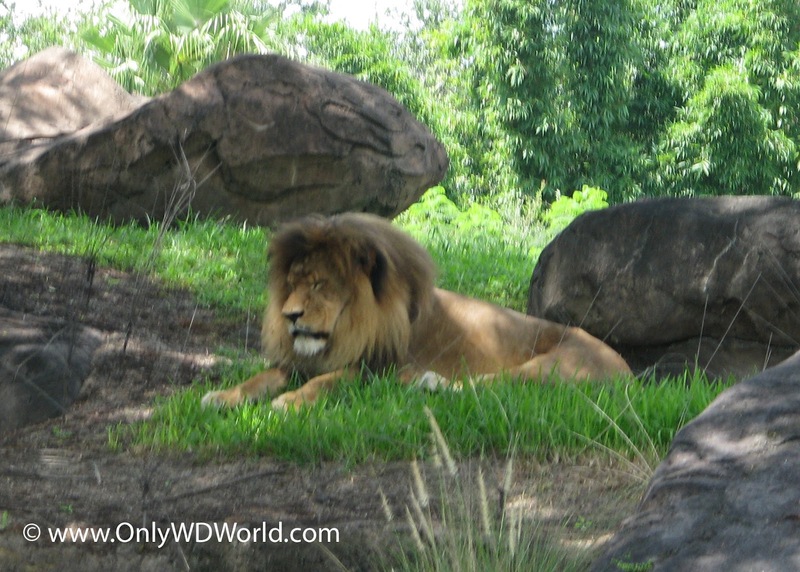 Get the experience of going on an African Photo Safari in central Florida! 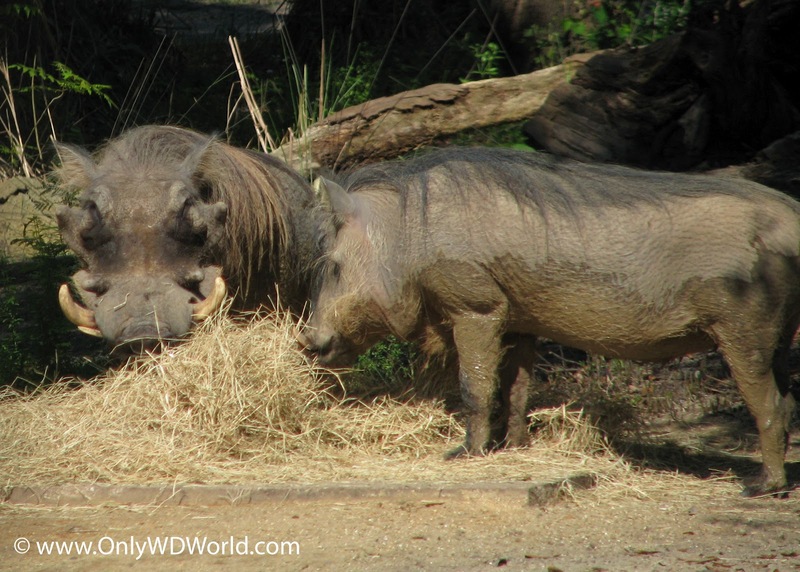 The above picture captures the usually shy Warthogs. Here we encounter a group of White Rhinoceros. 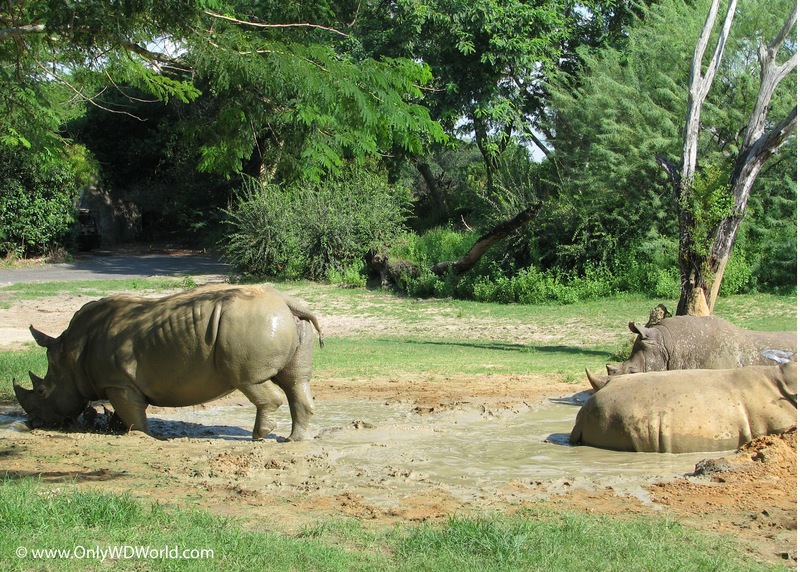 These powerful creatures sometimes block the path of the safari vehicles and they certainly have the right of way. 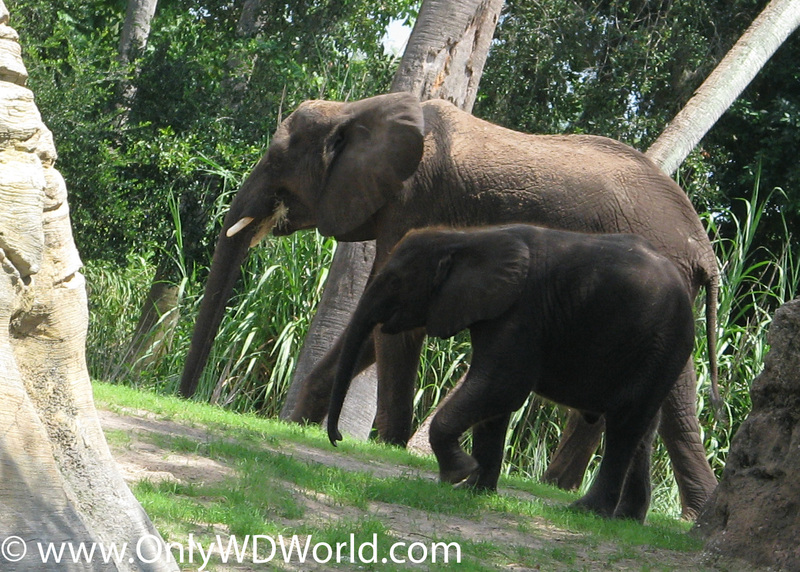 The herd of elephants that reside at Disney's Animal Kingdom is truly amazing. Often you have the ability to see very young baby elephants that have been born there. The male lion is difficult to photograph as they sleep a large portion of the daylight hours each day. In the above picture you catch a great view of the "King Of The Jungle." 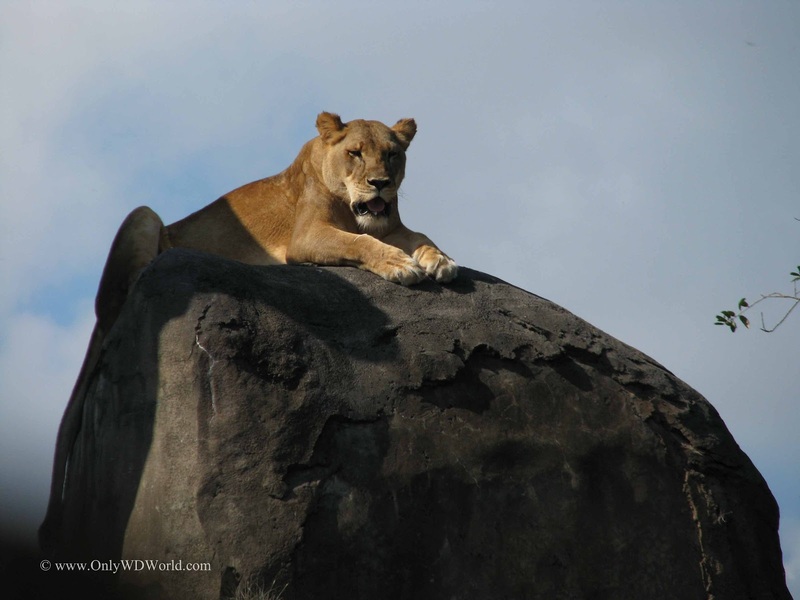 This is a great shot of a female lion perched atop a large rock outcropping. You can imagine her stalking her prey from this vantage point. 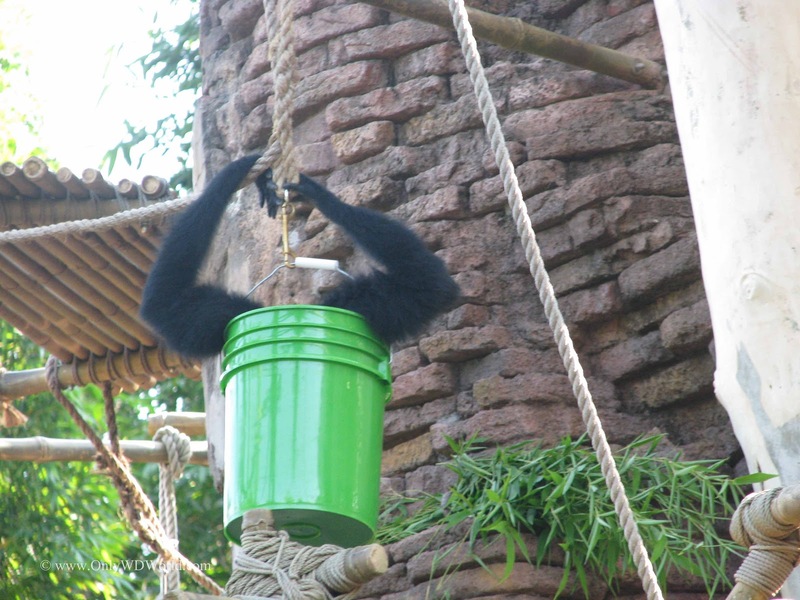 When walking through the Asia section of Disney's Animal Kingdom you can watch the Siamangs (relatives of the Gibbons Monkeys) play on the ropes and tower. 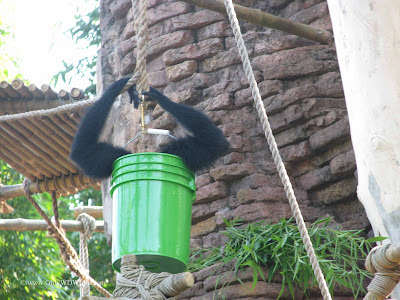 This money wanted to play hide and seek in the bucket! The characters that are most fun to photograph at Disney's Animal Kingdom Theme Park are the live animals. Each visit is different and the opportunities are unique depending upon the mood of each animal that day. You may see the same species during each visit, but it is rare to capture the exact same picture on consecutive trips. Enjoy the wonderful opportunity to take some great photographs of incredible animals! Be prepared to capture a picture at a moments notice, because you will never know when an animal may appear in the perfect photographic pose! 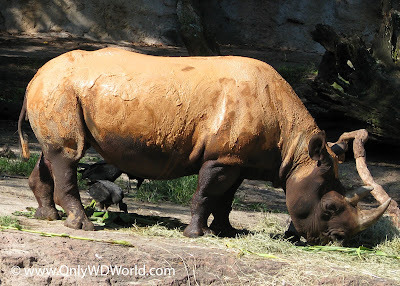 0 comments to "Photo Safari At Disney's Animal Kingdom Theme Park"